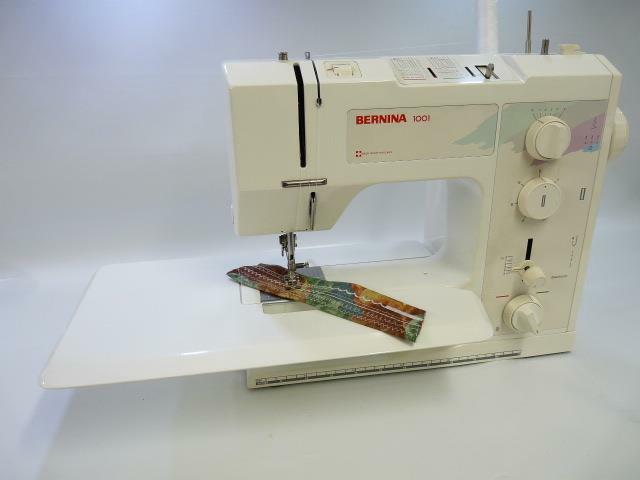 The Bernina 1001 is a traditional mechanical sewing machine (no computers) that provides basic function for your everyday sewing projects. It's generous collection of 16 stitch patterns also comes with a reverse feed utility. As well as the basic stitches you have the choice of decorative stitches and automatic buttonholes. This machine is a high quality sewing machine used by many professionals simply because it gets the job done and does it well.